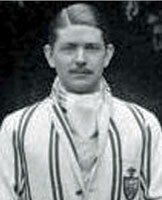 Gordon Thomas Manners Mitchell was born in Ceylon on 24th September 1910. He was educated at Leys School, Cambridge and Queen's College, Cambridge where he read Law and Economics. He was a member of the University Air Squadron from 1930 to 1932 and obtained his 'A' License. In 1933 Mitchell obtained a commercial appointment in Sarawak and remained there for four years. On his return to England he joined the Export Credits Guarantee Department in Bradford. Mitchell was commissioned in 609 Squadron, Auxiliary Air Force in November 1938. 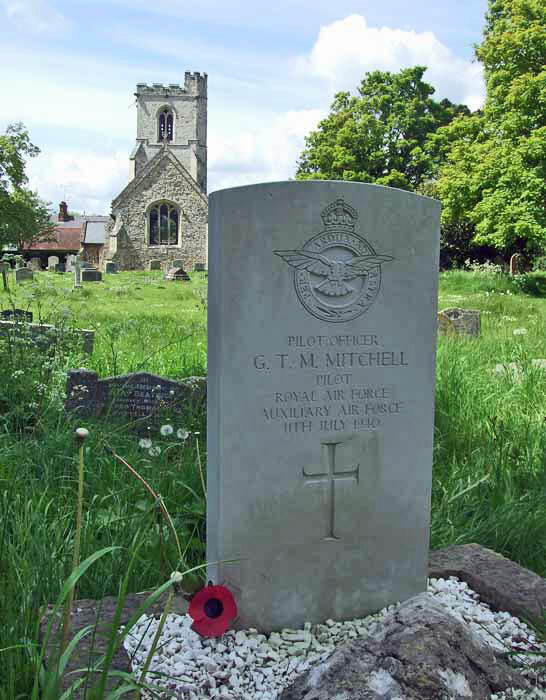 He was called to full-time service on 24th August 1939 and posted to 6 FTS Little Rissington on 7th October. With his training completed he rejoined 609 Squadron, then at Northolt, in May 1940. He was shot down in combat over a convoy off Portland on 11th July in Spitfire L1095 and reported 'Missing'. His body was washed ashore near Newport, Isle of Wight. 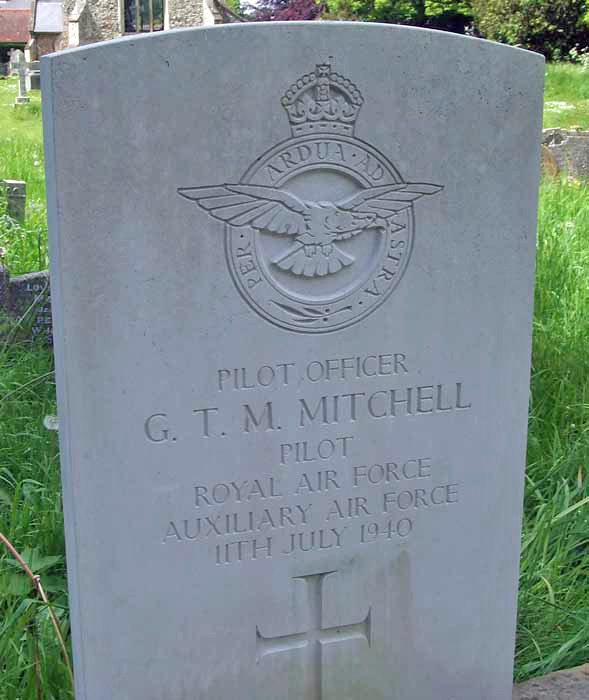 Mitchell is buried in All Saints' churchyard, Letchworth, Hertfordshire.